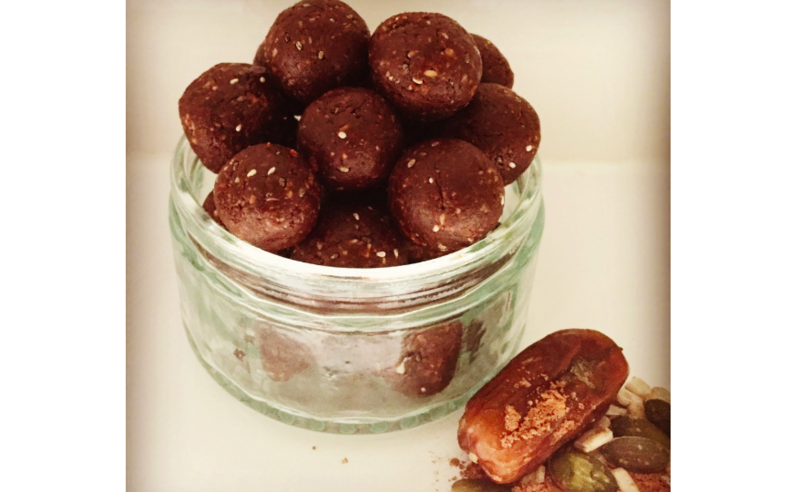 Kids easily mistake these raw, paleo and vegan date based energy balls for chocolate truffles! They’re made of 5 organic ingredients and take 15 minutes to make! I’ve started doubling up on the recipe as I’m having to make a new batch every few days (thanks to my greedy husband, neighbours, friends and clients)! Place all the ingredients into a good food processor and start the 1st minute on a low setting to chop everything up. 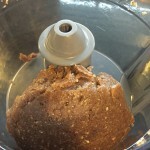 Start increasing the power, occasionally stopping the machine to scrape down any bits stuck up the sides of the lid of bowl. Depending on your machine, it may take 6 minutes for the whole mixture to eventually come together into a single ball of ‘dough’. Use a teaspoon, and then the palm of your hands, to roll small bite size balls and store in an airtight container for up to 10 days in the fridge. (I prefer them at room temperature..) Easy as that! Enjoy and feel free to comment with variations on the flavours and recipe! The main photo shows the chocolate recipe described above and the smaller photos on the right, show the ones I made with sesame seeds and without cocoa powder. 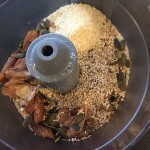 Try it with different seeds, flavours etc and let me know how it goes!